As Britain’s National Health Service moves to ban fax machines by 2020, Canada is still holding onto this system to communicate between physicians’ offices. 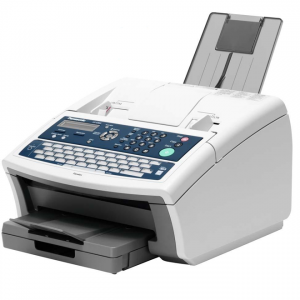 Faxes are used to request and book referral appointments, and to send medical documents. To describe Canada’s decentralized health care system as ‘complex’ is a colossal understatement. Technological advancements, new treatments and regulatory changes are constantly changing the landscape, adding more moving parts to an already complicated system. And still, with all that has changed in Canadian health care over the decades, the primary means of communication with other health care professionals remains the antiquated fax machine. Two-thirds of Canadian doctors said in a 2017 survey of clinicians by Telus Health that they rely on the method of connectivity that has been relegated to the recycling heap in every other area of business that depends on technology, namely faxing. If Britain’s recent move to ban the purchase of facsimile machines and phase them out entirely from hospitals and physicians’ offices by spring of 2020 carries any weight with its former colony, perhaps Canada will follow suit. The Canadian Medical Association said via email they don’t have an official position on the need to ban fax machines in Canada, but referenced a report they released in the summer expressing an overall need to address the new wave of tech-savvy patients they called The Google Generation. Health Minister Jane Philpott expressed concern over the fax machine issue more than two years ago when taking office and discussed the idea of streamlining the system. Years later, though, the problem remains. Part of the difficulty is a perceived lack of safe alternatives, despite advancements in encryption. Email, especially attachments, can be safeguarded with passwords. But another step in the chain of communication needs to take place in order to share they key or password. Time is precious, and so the fax remains. Delivery via website or apps, which online banking has proven can be very secure, is another potential replacement. Information can be uploaded by the sender and logged into by the recipient. But again, added steps need to take place, such as creation of permissions and registrations to a portal, or emails to notify the recipient of an upload. And so the fax remains. Ultimately the greatest blockade is the electronic systems being adopted by different care providers are simply unable to speak directly to others. That’s part of the mandate in Britain, along with large chunk of money being thrown at the problem. It’s easier to do with the centralized national system that Britain has, than in Canada where we have 14 different Ministers of Health. So, even as many have brought their practice into the 21st century for their own data storage, and things like outsourced transcription services, they remain handcuffed by a lack of a standardization for secure communications across all hospitals and clinics. It’s anything but a quick fix to replace the fax. You may also be interested in this article posted on Canadian Healthcare Network, at http://www.canadianhealthcarenetwork.ca/healthcaremanagers/discussions/blogs/technology-blog/the-fax-lives-on-in-canadas-healthcare-system-37997?utm_source=EmailMarketing&utm_medium=email&utm_campaign=Healthcare_Newsletter_Thursday. 2Ascribe Inc. is a medical transcription services agency located in Toronto, Ontario Canada, providing medical transcription services to physicians, clinics and other healthcare providers across Canada. Our medical transcriptionists take pride in the quality of your transcribed documents. WEBscribe is our client interface portal for document management. 2Ascribe continues to implement and develop technology to assist and improve the transcription process for physicians and other healthcare providers, and recently introduced AUTOfax. AUTOfax works within WEBscribe to automatically send faxes to referring physicians when a document is signed off by the healthcare professional. As a service to our clients and the healthcare industry, 2Ascribe offers articles of interest to physicians and other healthcare professionals, medical transcriptionists and office staff, as well as of general interest. Additional articles may be found at http://www.2ascribe.com. This entry was posted on January 14, 2019 in Outsourcing your Medical Transcription, Transcription. Is Medical Transcription Cost Effective?